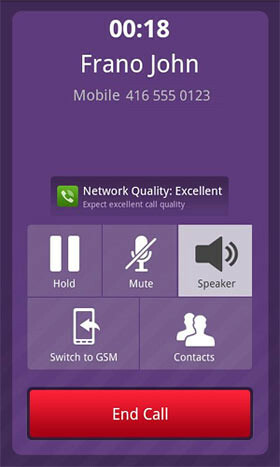 Viber, the free, no-registration 3G VoIP app for iPhone has just been released for Android as well. Be Free to Communicate. Call and text anyone, anywhere. Just like Whatsapp, once you launch the app, it will scan through your phone book contacts to see which of them are on Viber. You can then call them from the app using Wifi or 3G connection. 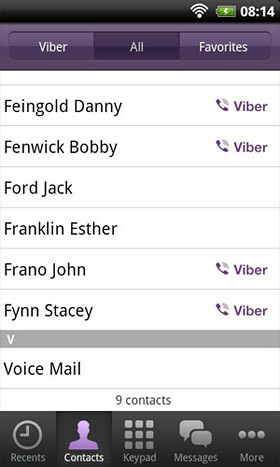 – Free international calls and text messages to other Viber users using 3G or Wi-Fi. – Uses your existing contact list – check out which of your phone contacts and friends is already on Viber so that you can call and text them for free. 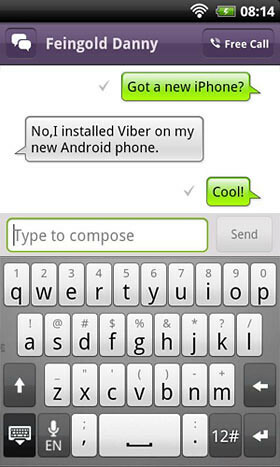 One Response to "Viber Lets iPhone & Android Users Call One Another For Free"
This sounds awesome. Will be great to use with my buddies in the U.S.A.